This Fund Sources And Uses can be a help in understanding what funds and other assets you may have available to use. This is a statement of how much money is required, its source, and how it money will be used. 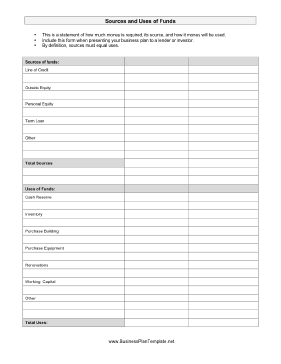 Include this form when presenting your business plan to a lender or investor. By definition, sources must equal uses.